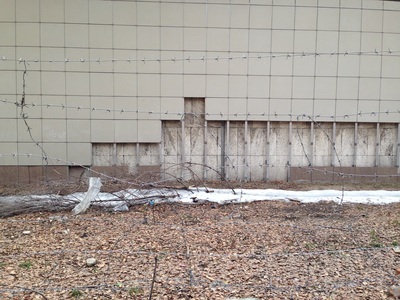 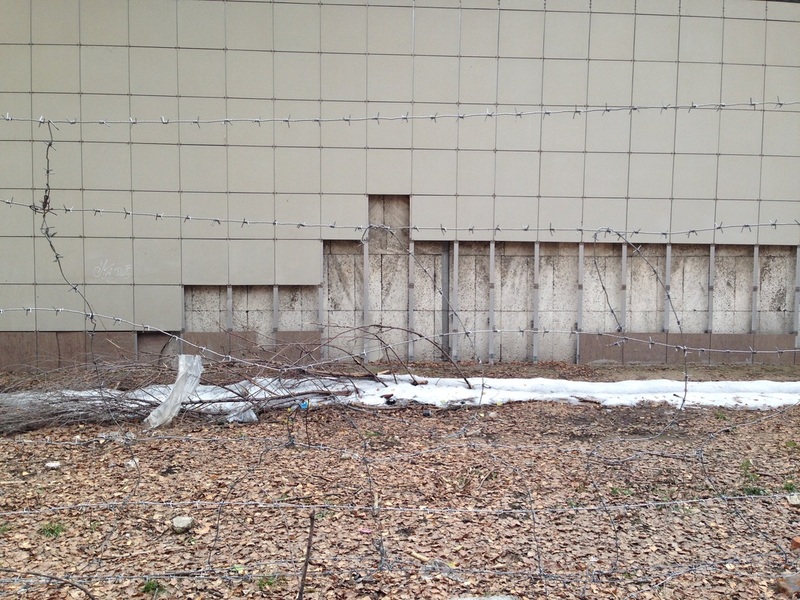 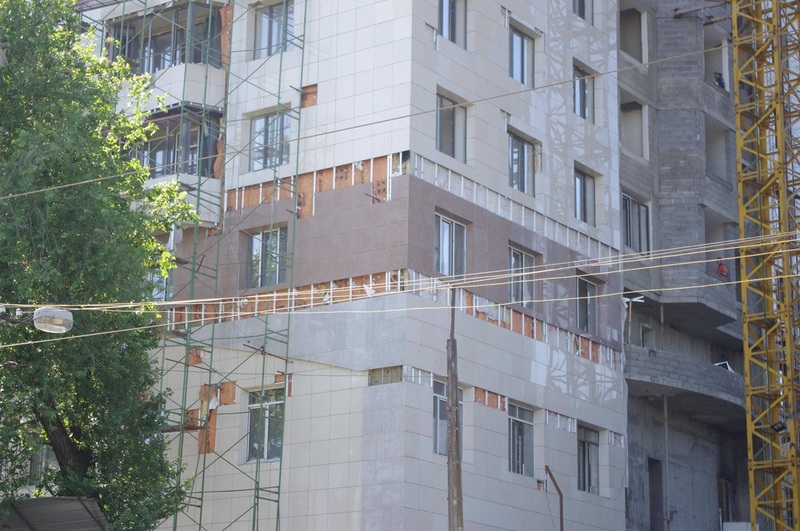 Behold Almaty's most abhorrent architectural trend - the ventilated facade [вентилируемый фасад; ventiliruemy fasad]. 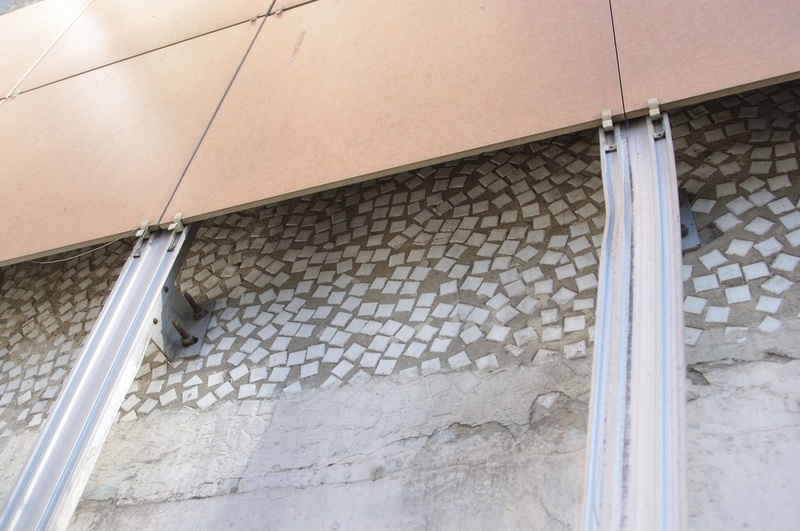 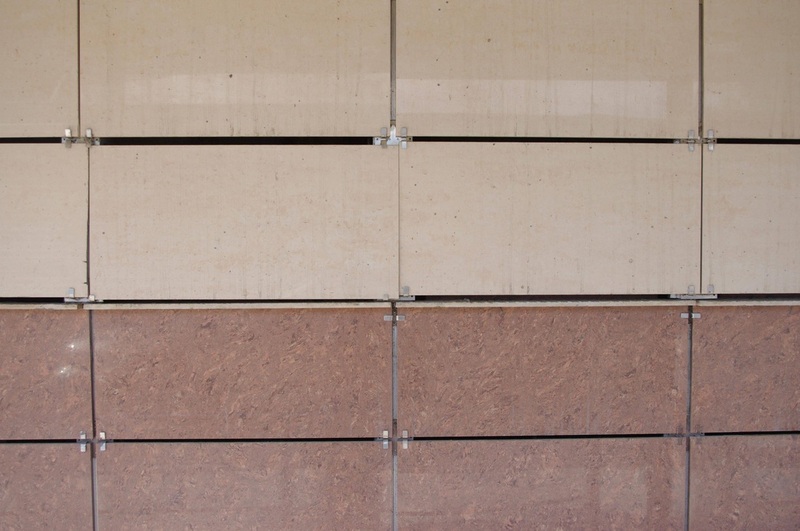 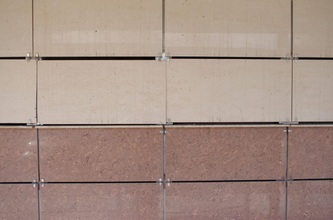 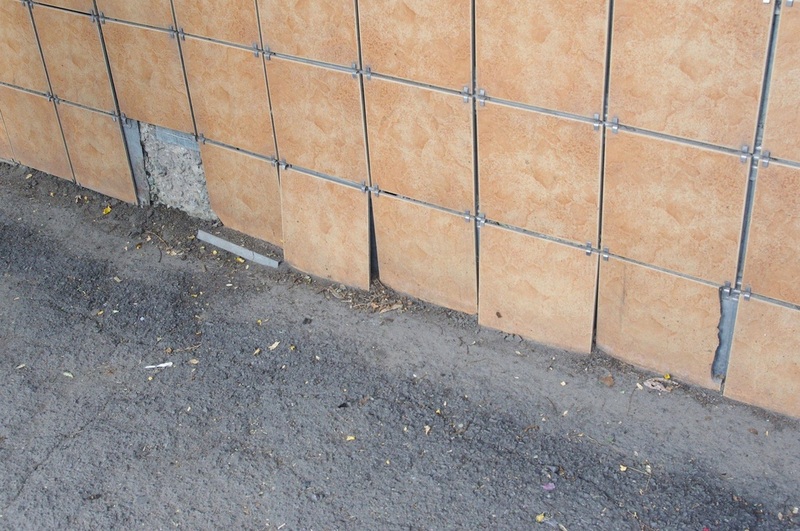 Sometimes called "rainscreen cladding" in English, these facades are made by drilling a grid of fasteners [кронштейны; kronshteiny] into a building's concrete skeleton, then hanging faux-marble [керамогранит; keramogranit] panels that are held tight by flimsy fasteners. 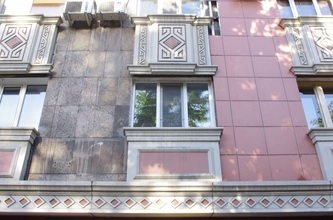 These facades use materials that strive to project glamor, but their cheap construction screams "tacky" instead. 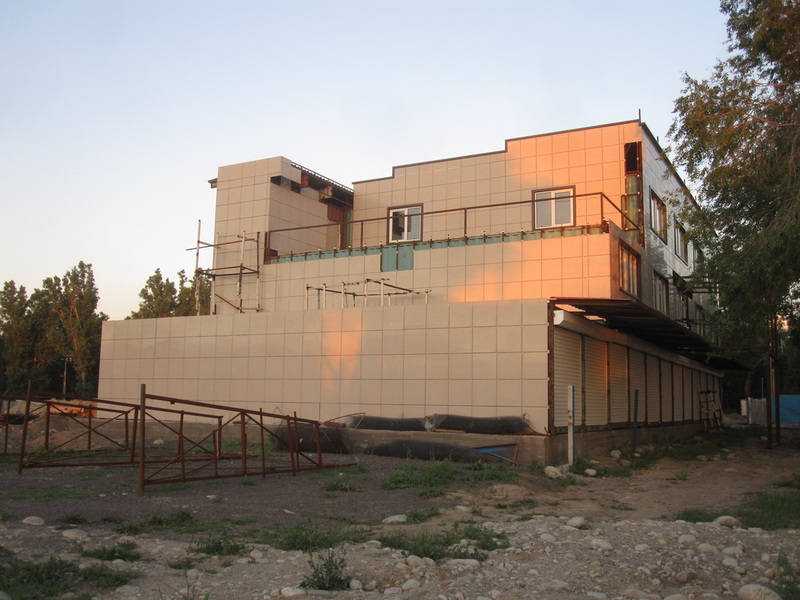 The fad's staying power may be explained by the obsession with remont [ремонт; "renovation"] in a town that is held back by its Soviet-era infrastructure. 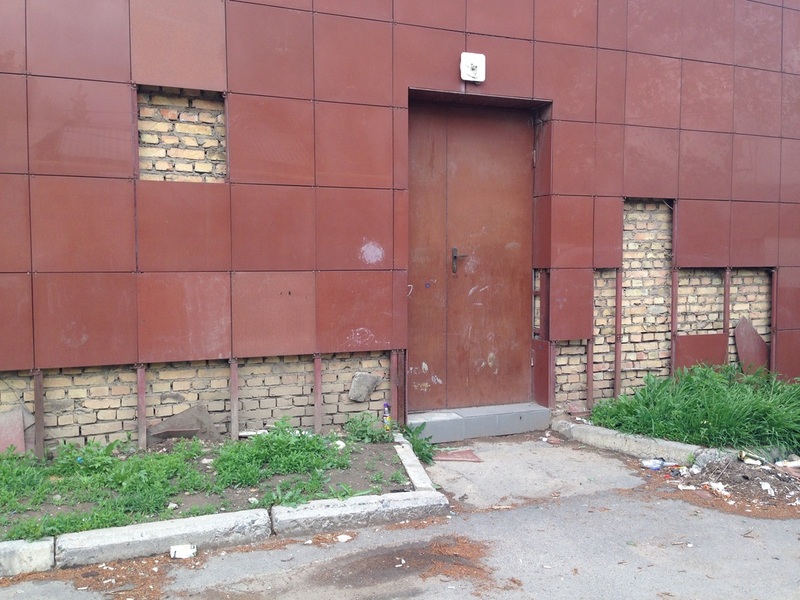 Old Soviet apartment blocks that were previously covered in greying limestone or crumbly concrete can, with the application of a ventilated facade, have at least a superficial sheen of newness. 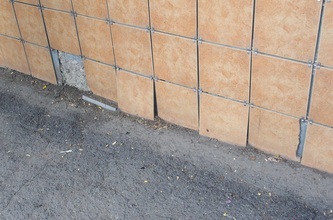 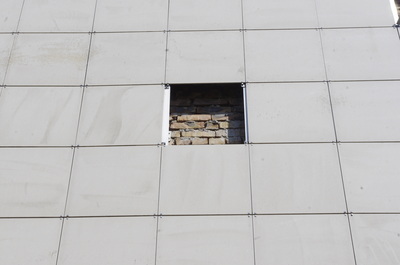 Elsewhere, they're used as an easily assembled cover-up for ugly construction. You can find rows of shipping containers at the main bazaar, Barakholka, obscured by hilariously unconvincing walls of panels. The owners may think they are adding a hint of class, but their technique is just what it sounds like - a facade. The siding isn't just used for renovation and dress-up, though. 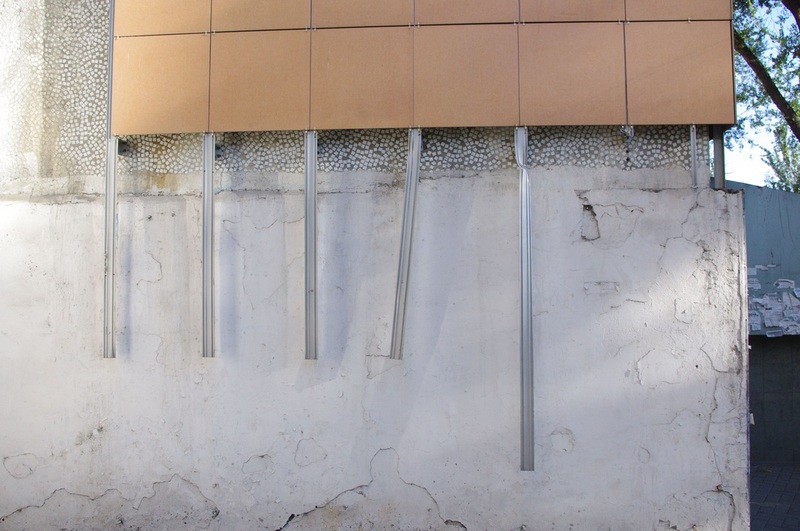 It's just as frequently seen in Almaty's newest highrises, the city's novostroiki [новостройки; lit. "new constructions"]. 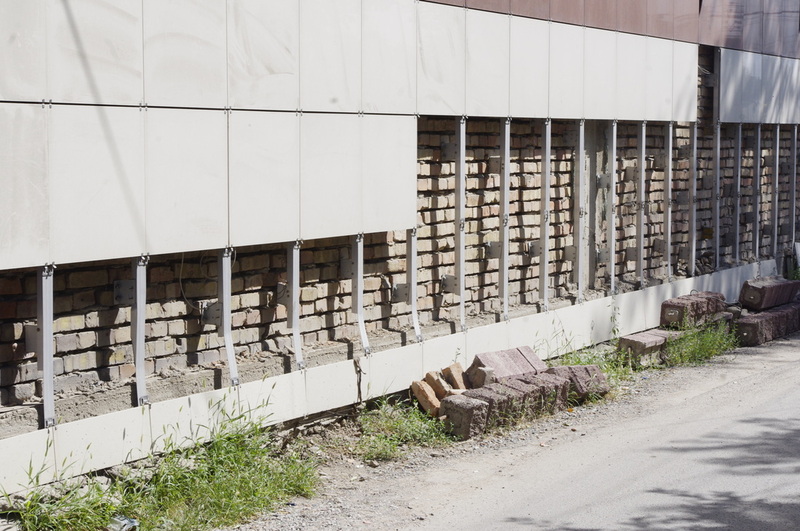 Here, I can only suspect that they have become popular with budget-wary project managers (perhaps, a cynic would suggest, the same builders who get big-time investments and then pocket a cut for themselves while scrimping on materials). 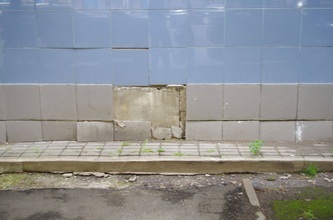 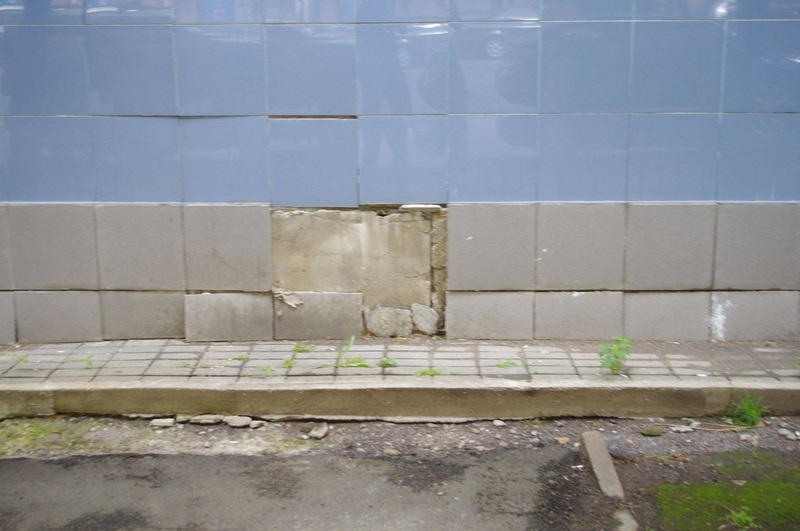 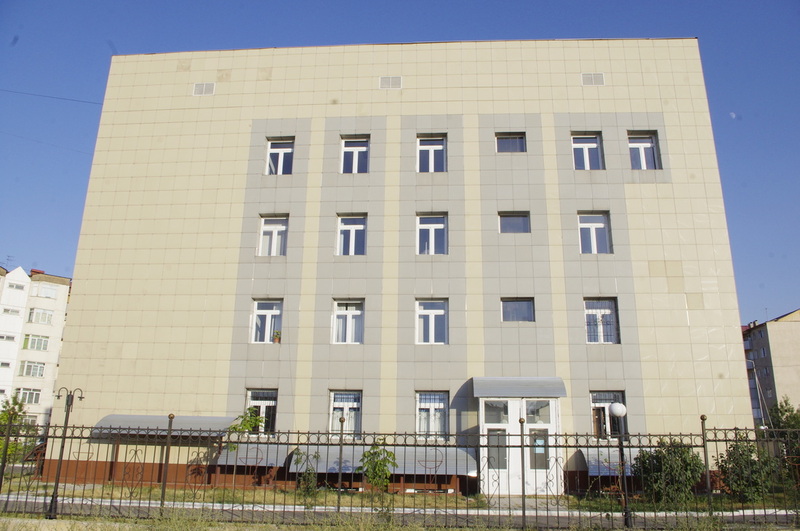 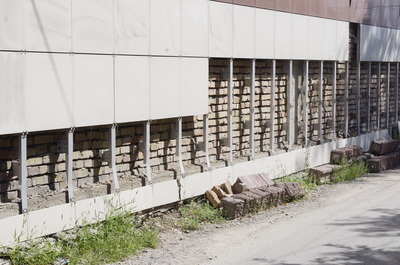 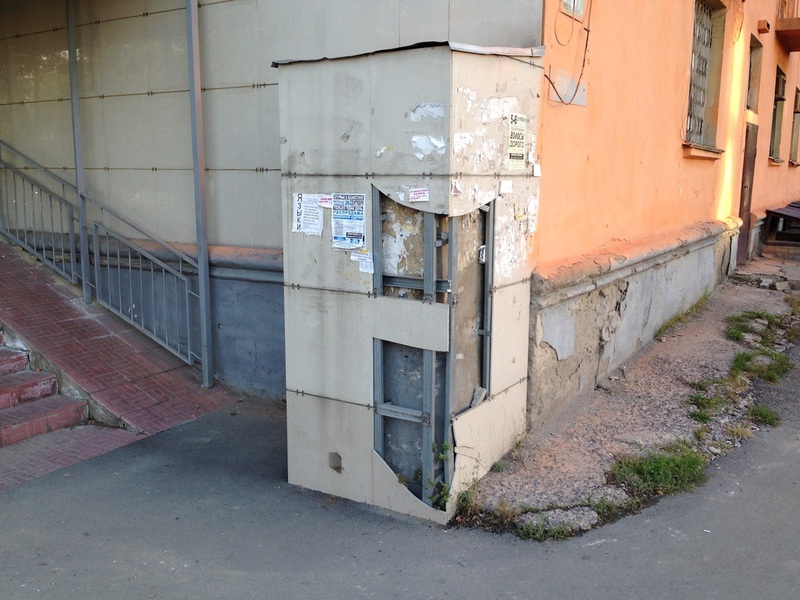 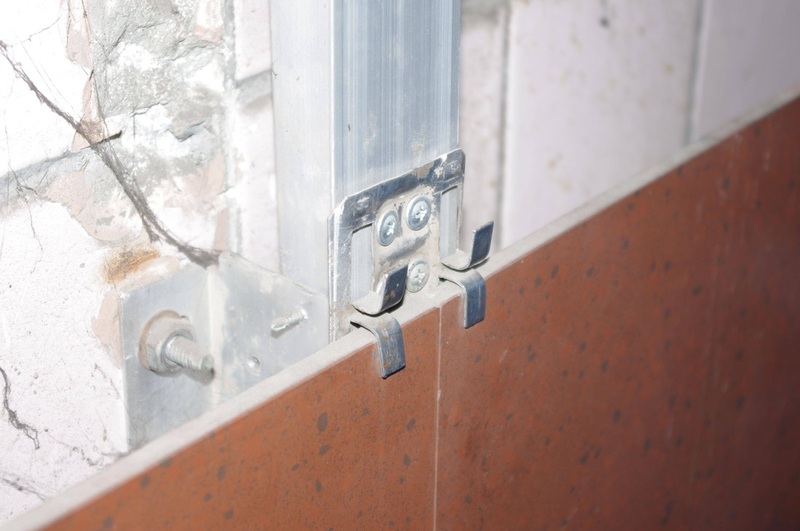 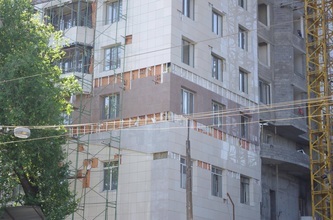 From the look at online building material markets, it seems that ventilated facades are a bona fide phenomenon throughout the CIS sphere, so perhaps a select few Russian building companies are promoting their cheap "technology" to construction companies throughout the bloc.